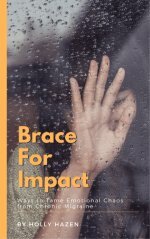 The pain is building and so is your anxiety... you need migraine relief NOW. What do you reach for? Most likely... what ever is in the house. Did you know that over-the-counter pain medications like: ASA, ibuprofen, acetaminophen and naproxen are the most common forms of pain relief for most sufferers? I can tell you from experience they never helped me. They. Did. Nothing. I had full blown attacks with no pain relief at all, every single time. And there's the risk of overdose because they just don't work effectively enough. 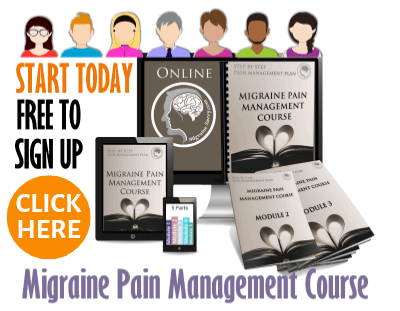 Now that you're here, I can tell you that you must use the right medications and possibly with an over-the-counter tablet to manage migraine attacks effectively. 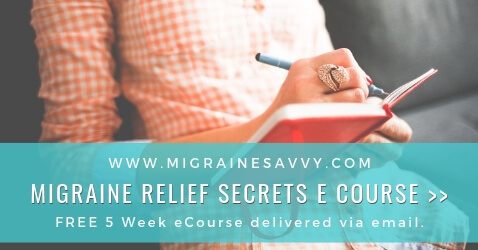 Finding effective relief is harder when you have several severe migraine attacks a month, and your pain is not relieved with these over-the-counter medications alone. 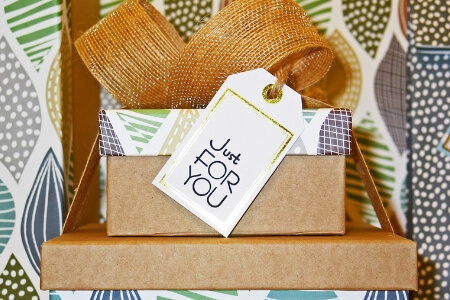 You may have to experiment with different medications or alternative therapies to find what works. If this is you, it's a good idea to keep a journal. 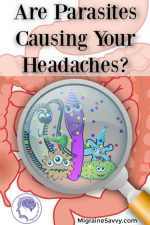 It will help you identify migraine triggers and patterns. Avoiding your triggers is often very effective in reducing the frequency of your attacks. Whether your migraines are mild or severe, there is one thing we both have in common – we need relief, and we need it fast. 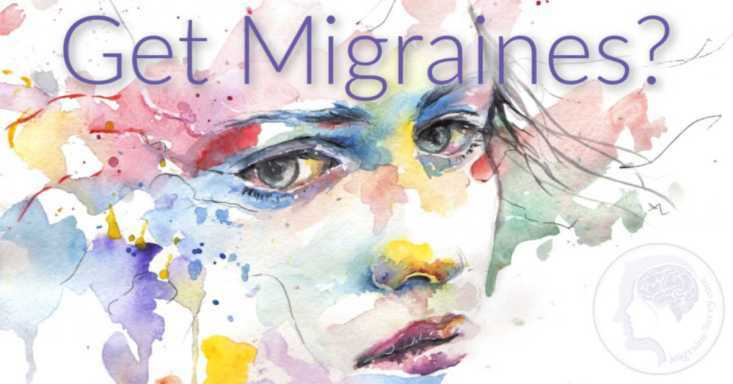 Preventing every migraine attack may not be possible, but it is possible to reduce the severity of the pain, and the frequency of the attacks. 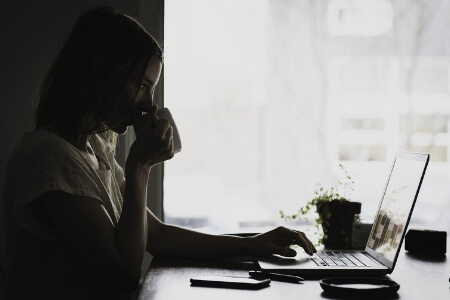 These eight tips should help you find more effective migraine relief. 1. Get the right medication. It goes without saying... oops I'm saying it, that you need to get the right diagnosis from your doctor so you know what you are treating. You need to rule out anything more serious like: a brain tumor, meningitis, a brain injury or other trauma that could be the cause of the attacks. Then you can get the right medication(s). You may need more than one. Having a migraine headache might make you feel like your head will explode, and in many cases regular headache pills will NOT help. Please see your doctor immediately to discuss your options. 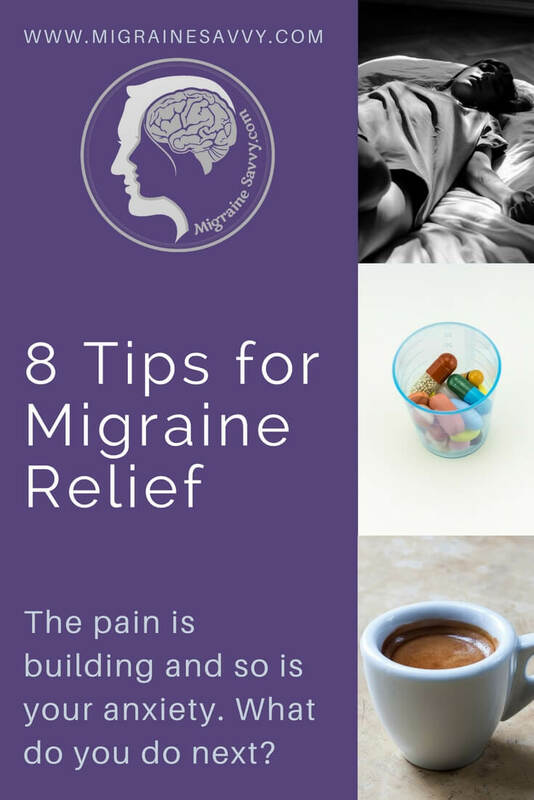 You must find over-the-counter medications that are specific to migraine like Excedrin migraine, or ibuprofen with caffeine for them to be effective. Headache tablets may not work for a migraine, find out why here - Migraine vs Headache. 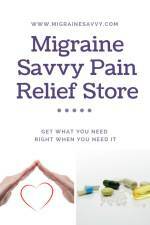 You can read about migraine specific OTC meds here - Over The Counter Migraine Medication. A natural approach to finding quick migraine relief is to have one or two short black coffees if you are not a regular coffee drinker. I used this for two years before I got addicted to caffeine (oops!). In some cases, the migraine may disappear completely, if you catch it early enough. But at the very least, the pain should lessen. This is another important reason for keeping a diary or journal. Knowing the symptoms of the early stages of a migraine will alert you as to when one is coming on, which will help you take action quicker. The quicker you can take a medication (that works) or eat nausea reducing food, the less severe and shorter your migraine headache will be. The sooner you act, the better the chance you have to abort your attack. A migraine can literally knock you off your feet. If you don't take quick action you could be stuck somewhere, unable to drive home or call for help. The longer you wait, the less chance you have of finding faster migraine relief. Keeping a good migraine diary is vital. Every migraine episode could be different, and every migraine sufferer is different. What works for one person during one episode may not work for the next, and may not work for another person at all. The better you know yourself and understand which methods are the most effective, the less you will suffer. You can download the basic diary / calendar I use by joining the mailing list. If you are too weak or blurry to do relaxation exercises, just lie down. Make the room as dark and quiet as possible. If you can tolerate noise, listen to a soothing meditation CD to help you drift off to sleep. Sleep helps, so learning ways to relax so you can drift off to sleep could be vital. Although fevers are not generally associated with migraine headaches, you may experience hot pain spots or cold hands and feet. A cool cloth or ice pack on the back of the neck can relieve a lot of pain, very quickly. A cool, damp cloth over your eyes can also relieve the pain around the eyes and block out bright light. Unlike regular headaches, during a migraine headache the blood vessels swell, which makes them release more of the chemicals causing the pain. The ice will help these vessels get back to normal, and thereby reduce the pain. Heat may make them worse. Here are the best ice packs - The Best Ice Packs For Migraine Relief. Using heat at the back of the head can make it worse. 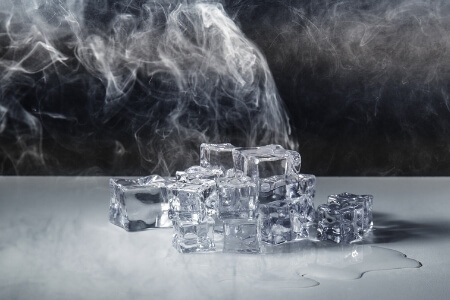 Ice is better to constrict the blood vessels thus reducing pain. Try to empty out all of the mental chatter going on inside your head. And don't freak out! You should not die from a migraine attack, even though it feels like you will. Negative thoughts can make the pain worse and raise your anxiety levels. At first this may be quite a challenge, but if you practice meditation, it will become easier to quiet the mind before an attack. Some forms of meditation concentrate on the pain which is supposed to help. Not serious concentrating like the type you may do at work, just focusing on how it feels and where it's coming from. This can make it more intense, so a gentle guided meditation will work better. It's helpful to focus on your breathing rather than the million thoughts running through your head. I have a whole section on meditation, it's proven to help reduce migraines. 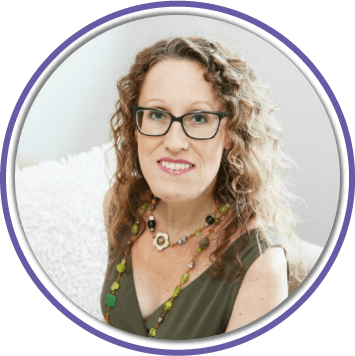 You can read about that here - Imagine A Migraine Free Life. Sleep often goes hand in hand with migraine attacks. When you lie down in a dark room and feel yourself drifting off, don't fight it. Sometimes your body may be telling you it needs a rest in order to deal with the migraine. Sleep will also block out all light and noise, and help you relax. You heal when you sleep. Use this to help you drift off - Guided Migraine Meditation for Sleep. Try the migraine specific electric devices that are available now. Tens machines, biofeedback and personal stress reducing systems like emWave2 can help retrain your body to relax the certain muscle groups associated with migraines. Relaxing both before and after is important. Tens machines come in all shapes and forms. Electrotherapy is widely used for the treatment of both chronic and acute pain reduction. I have not had great success with my tens machine, but I use it anyway to help the body. And it's cheaper than going to an acupuncturist. They are worth considering for effective prevention and relief.